This is one of the last Grand 600 limousines that has been imported to the USA in 1972. 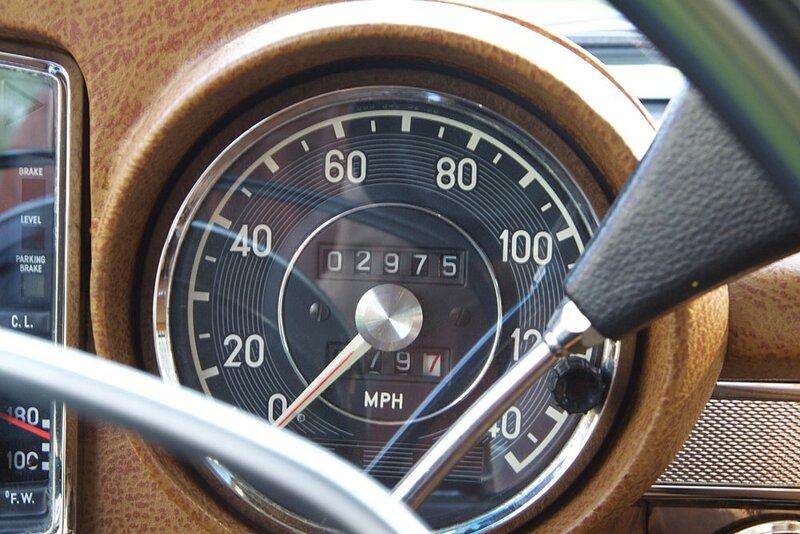 Ordered by a collector from Milwaukee, Wisconsin, who drove this Mercedes Benz 2,520 miles. In 1992 the Benz was sold to a car collector in Atlanta who only desired black automobiles with tan leather interiors. He did not want this car in his collection and for years the car was stored inside a repair shop in Atlanta, forgotten about for years. In 2016 this Grand Mercedes Benz 600 was purchased by Karl H. Middelhauve who replaced the air valves, changed all fluids in the Benz and cleaned the 'barn-find' dust. Finally, he polished the car and checked out all the operating functions of this unused Benz. Noteworthy is the mileage of only 2,975 miles ~ truly unbelievable. 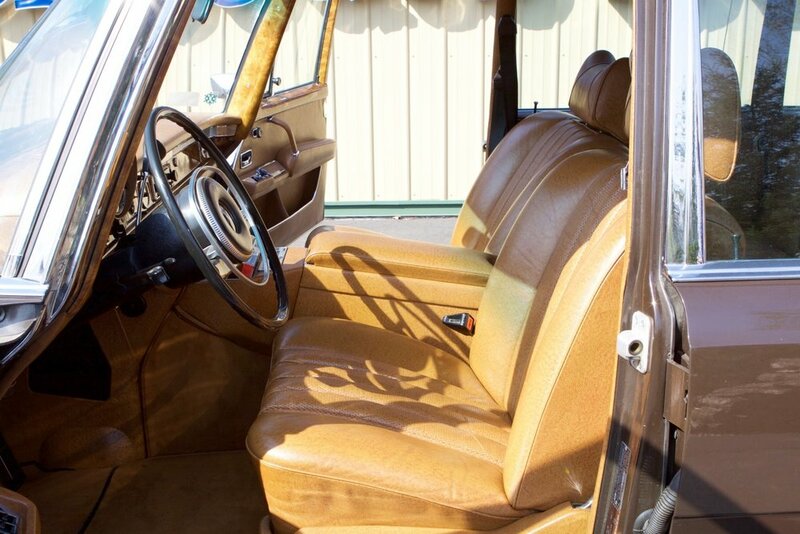 The car has the original cognac leather (from cows in the Black Forest with tick bites) in like-new condition. The wood trim is equally in unrestored perfect condition. The original curtains are in perfect shape and color. The original drive-in instructions that come with the car are still on the steering wheel gear shifter.The factory thermos bottle has the original paper banderola. The four shot glasses have the stickers still on them. The carpets are in factory like-new condition with cognac floor mats, also in the trunk. The trunk has the original perfect hydraulic kit, spare tire with the Fulda factory 2-inch tape protection over the white wall. The MB factory tool kit is in its original wrapper. The jack and handle are in their original place, never used. The Becker radio with rear seat control works as it should, together with a special-ordered 8-track tape deck. A set of six 8-track tapes are in the car (two Bach, Vivaldi and Telemann tapes still in their original wrappers). One might call this the only 'Grand (600) Barn-Find' in the Mercedes Benz history. Unbelievable, yes ~ but true!